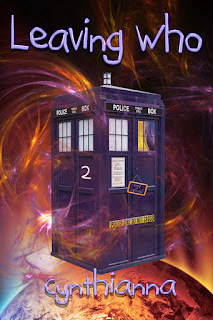 Cindy A. Matthews: Confessions of a Blonde Writer: Doctor Who--and Loving Who--Return! 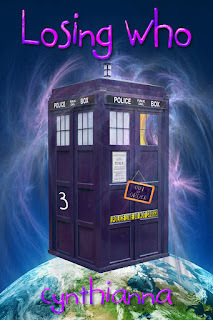 It's been a while since I wrote about the Doctor, but this month I have something to write about concerning both the latest series premiere and the re-release of my original Doctor Who-inspired series, Loving Who. My wacky sci-fi romantic-comedies, beginning with the novel Loving Who, are no longer in print from their former publisher (due to a change in business model). The good news is they will be re-released with new cover art and new editing in all new editions from Devine Destinies Books. I'm excited because I really enjoyed revisiting my old friends Cici Connors and the alien John Smith from Loving Who, Leaving Who and Losing Who. 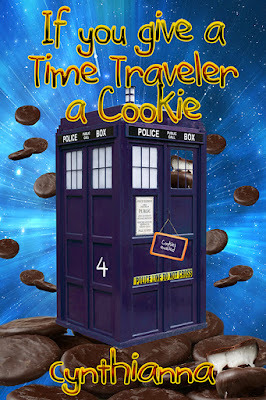 I know a lot of new Whovians will enjoy their wild adventures in time, space and fandom, too. I can't wait to introduce them to these new Who-fans. I don't have an exact release date yet for the first title, but I'll let you know when I do. In the meantime, I'd like to ask you favor... Would you be interested in reading and writing a short review of Loving Who and then posting your review to Amazon and Goodreads? I'd sincerely appreciate it, as the old reviews posted there will no longer be associated with the new release. So, if you're interested, please email me at cynthianna @ hotmail.com (no spaces) and let me know if you're able to help me out with a review. Thanks. Now onto the quickie review of the opening episode, The Pilot. I must say Peter Capaldi is looking great and seems very relaxed in the role of the Doctor. His hiding out at a university and teaching physics seems up the Doctor's alley, and it gave me a flashback to the partially filmed Douglas Adams' story, Shada, where the Doctor met an old friend who was hanging out as a professor at an English university. The TARDIS in the corner of his well-appointed office fits the decor perfectly. The reasons why the Doctor has settled down for a spell to teach--and why the alien Nardole is still with him--aren't given, but I'm willing to give it a pass for now. The university professor situation is intriguing, and the young woman he meets and encourages to study science is intriguing as well. "Bill" isn't your typical college co-ed, as she's not officially a student, and yet she's bright and eager to learn. (After seeing say some rather dumb lines in the trailers, I wasn't sure if I would like her, but she's much more intelligent than those short blurbs indicate. Whew!) About the only criticism I have of Bill after the first story is her horrible taste in clothing and unkempt hairstyle. Nothing she wears is flattering for her body type, in my opinion. I hope the costume and makeup department get to work on improving her look. 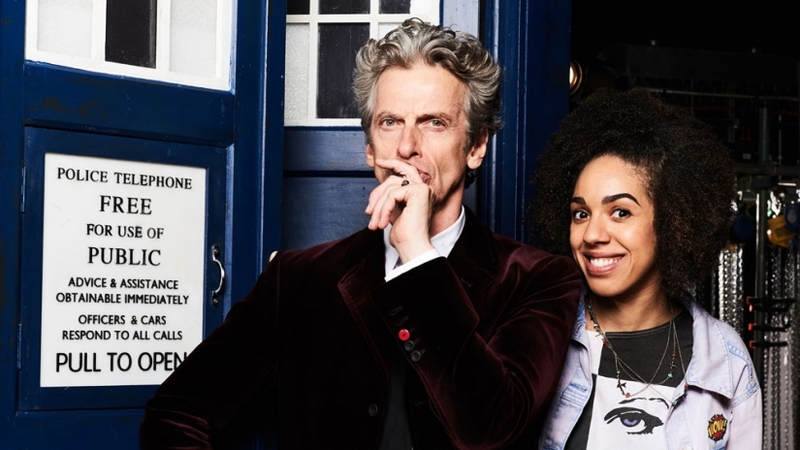 We learn in snippets that Bill (Pearl Mackie) is a foster child and never knew her mother. She's a sympathetic character and seems to have the ambition to make something of herself despite her poor circumstances. The Doctor and Nardole (Matt Lucas) seem to be protecting a "vault" in the basement of the building where the Doctor's office is located, but for what reason and from whom are still a mystery. 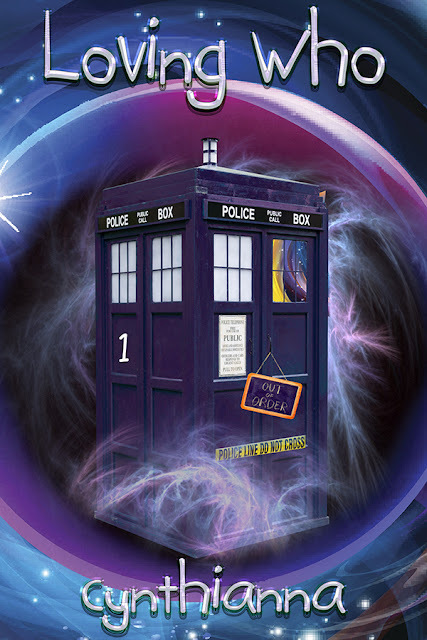 The opening story isn't overly complicated, but it flows at a good pace and introduces Bill and the audience to the TARDIS and the idea that the Doctor is much more than meets the eye. This is always a good way to restart a series after it's been in hiatus for a while. I'm looking forward to episode two, and hopeful Moffat doesn't derail the more positive and helpful Doctor to bring back his morose persona of the past seasons. Peter Capaldi announced this will be his last year to play the Doctor, and I'd rather he go out on a high note than a low one, wouldn't you? Fingers crossed! P.S. My short story, If You Give a Time Traveler a Cookie, featuring Cici and John from Loving Who, will also be available from Devine Destinies. Keep it tuned here for details. I liked The Pilot episode. It's more along the lines of what Doctor Who should've been all along. Hopefully it's a sign of good things to come. 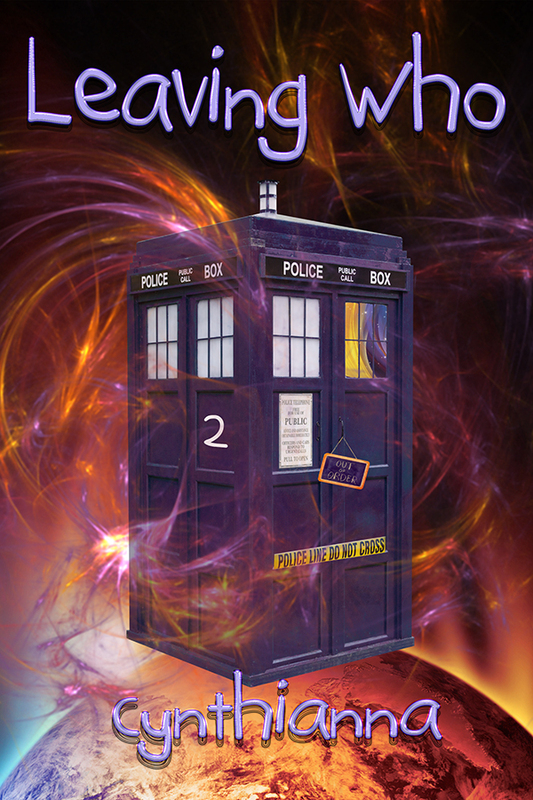 Yes, it had a lot more "classic Who" elements to it and even harkened back to the first season of the new era. Here's to a more positive and helpful Doctor and companion!